Schwab's dividend ETF looks enticing by showcasing low management fees, high liquidity, respectable yield, and a smart beta feature. Historically, SCHD has been less competent at producing superior absolute returns than it has been impressive at playing defense. Schwab's dividend ETF seems to be very much worthy of consideration for income-seeking stock investors who value quality and stability. I have talked plenty about dividend investing. Recently, I reinforced my convictions that WisdomTree's U.S. Quality Dividend Growth Fund (DGRW) features as one of the most compelling ETFs of its kind in the market. Today, I look at a larger and possibly better-known competitor to WisdomTree's offering: Schwab's U.S. Dividend Equity ETF (SCHD). With a rock-bottom expense ratio of 0.06%, could this be another solid alternative to diversified dividend investing? I will skip going any deeper into the case for owning dividend-paying stocks. 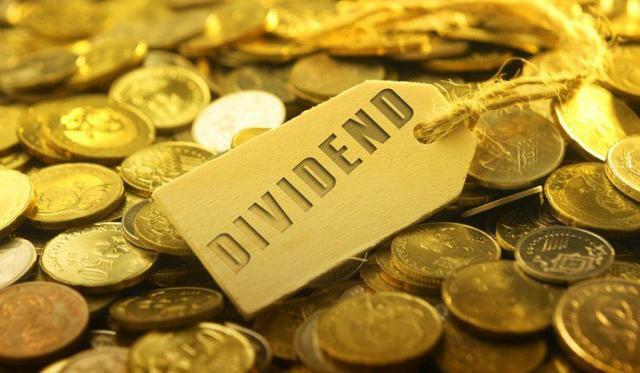 Suffice to say that "dividend payers have clearly outperformed non-dividend payers over a very long period time, having achieved the feat with even lower volatility". Obviously, those who do not find their investment styles compatible with buying into this type of security might rightfully want to rule out an investment in SCHD from the get-go. Speaking of investment style, SCHD tracks the Dow Jones U.S. Dividend 100 Index, which in turn "represents 100 high dividend-paying U.S. companies with a record of consistently paying dividends, selected for fundamental strength relative to their peers, based on financial ratios". The top stocks contained within this index are well-known household names: Home Depot (HD), Procter & Gamble (PG), Intel (INTL), Verizon (VZ) and PepsiCo (PEP) combined made up nearly one-fourth of the total portfolio as of April 2019. By applying these basic rules, Schwab assembles a select group of large companies with highly-liquid stocks and a track record of being consistent dividend payers. Because it is at least minimally selective in factors that theoretically speak to the quality of the stocks, I believe Schwab minimizes the risk associated with investing in high-yield names - which I have identified as a key concern in Oppenheimer's Ultra Dividend ETF (RDIV), for example. Unfortunately, Schwab's basic selection criteria are not forward-looking, as is the case of WisdomTree's DGRW with its minimum growth expectations requirement. Large size, high trading volume, very low management fees and a compelling "smart beta" feature all seem to qualify SCHD as a potentially good fund to own. Let's see if the fund's historical returns support the idea. Not surprisingly, SCHD has tracked the S&P 500 (SPY) very closely since the ETF's 2011 inception, at a very high correlation coefficient of 0.95. But although the fund has produced slightly inferior absolute returns since inception, it has also beat the benchmark on a risk-adjusted basis, proving to be a more efficient performer per unit of risk: Sharpe ratio of 1.0 vs. SPY's 0.95. This seems to be a reflection of the "better quality" assets in the portfolio pushing volatility down - in 4Q18, for example, SCHD lost only 11% of its market value vs. the S&P 500's -14%. In the peer-to-peer comparison, however, SCHD is arguably still a step behind its WisdomTree competitor. The former produced noticeably lower results since the latter's inception (see chart on the right above), and also failed to top DGRW in risk-adjusted terms - despite having superior dividend distribution at a very rich 30-day yield of about 3.2%. At the same time, Schwab's fund also faced less turbulence, as suggested by lower volatility and higher lows (worst day and rolling 20-trading day), in a showcase of the ETF's outstanding defensive skills. At least judging by historical data, SCHD seems to be one of the most conservative yet solid performers in the stock ETF market. Throughout its short history, the fund managed to keep up the pace with broad equities while spewing out large quantities of dividends and keeping the downside better protected. After considering other key factors like management fees, size and liquidity, I conclude that Schwab's domestic dividend ETF is very much worthy of consideration for income-seeking stock investors who value quality and stability. I do not own SCHD, yet I try to create superior risk-adjusted returns in the long run using a different strategy. To dig deeper into how I have built a risk-diversified portfolio designed and back-tested to generate market-like returns with lower risk, join my Storm-Resistant Growth group. Take advantage of the 14-day free trial, read all the content written to date and get immediate access to the community. Disclosure: I am/we are long PEP, VZ. I wrote this article myself, and it expresses my own opinions. I am not receiving compensation for it (other than from Seeking Alpha). I have no business relationship with any company whose stock is mentioned in this article.